WILLS POINT, TX – April 15 is the last chance for GFA School of Discipleship applicants to receive a 5 percent discount on tuition. The Early Bird discount will be available for all whose registrations are submitted by that date. Dr. K.P. Yohannan established Gospel for Asia School of Discipleship as a place where aspiring Christian young people can make a real difference for God’s Kingdom, working alongside the staff of one of the world’s largest faith-based mission organizations. 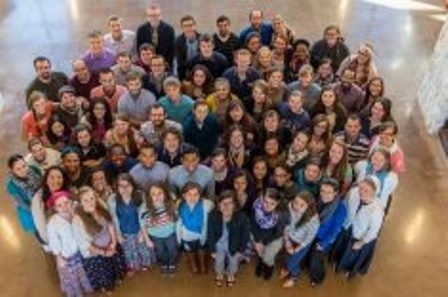 The School of Discipleship provides students with an on-campus experience like none other. Students gain deeper insights into Biblical wisdom and learn how to apply that wisdom in the practice of their Christian walk. Students’ lives are transformed as they practice spiritual disciplines, learning that prayer is a lifestyle and not just something we do from time to time. GFA School of Discipleship is a year of living on a campus with and learning from committed Christians who live out Christ’s love. It is a place where Biblical Christianity is lived out within the community. It is a loving community where you learn, through daily experiences, how to love Jesus with every part of your life while making an impact for His kingdom.